From Disburst. It's time to play judge, jury and executioner with your pin collection. 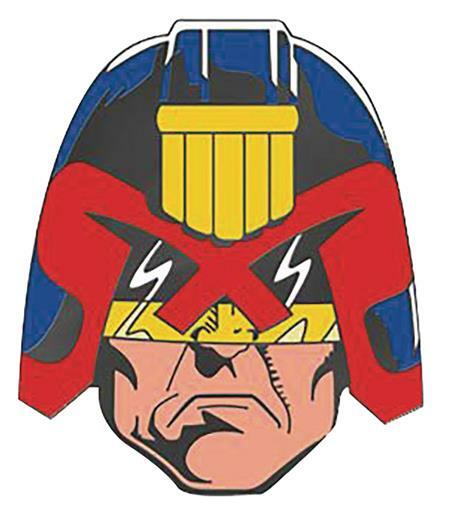 Yesterdays Co brings you the officially licensed 2000AD Judge Dredd pin to add some dystopian justice to your favorite pinnable piece. This 1.25' black nickel plated enamel pin comes complete with a single post black rubber back. Add your to your collection today and become the envy of Mega-City One.